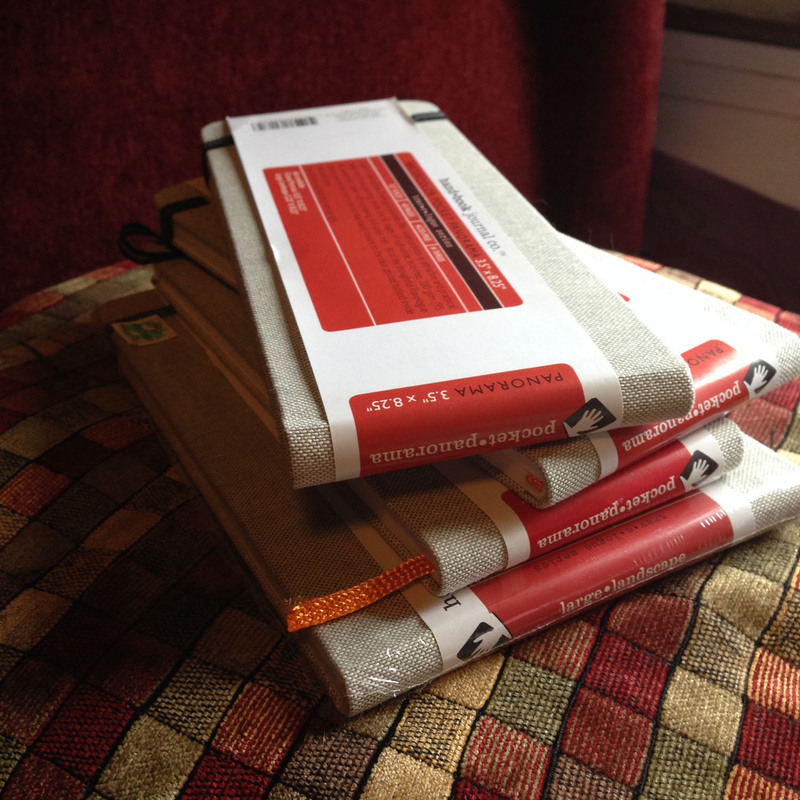 Oh my goodness, those sketchbooks are all just so scrumptious. They are like little art galleries you can fit in your pocket. 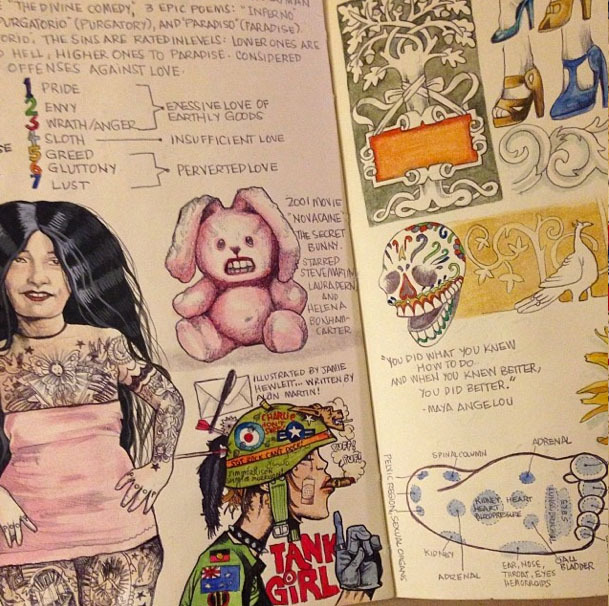 Your sketches are more detailed and wonderful than my finished pieces could even hope to be. Fab. 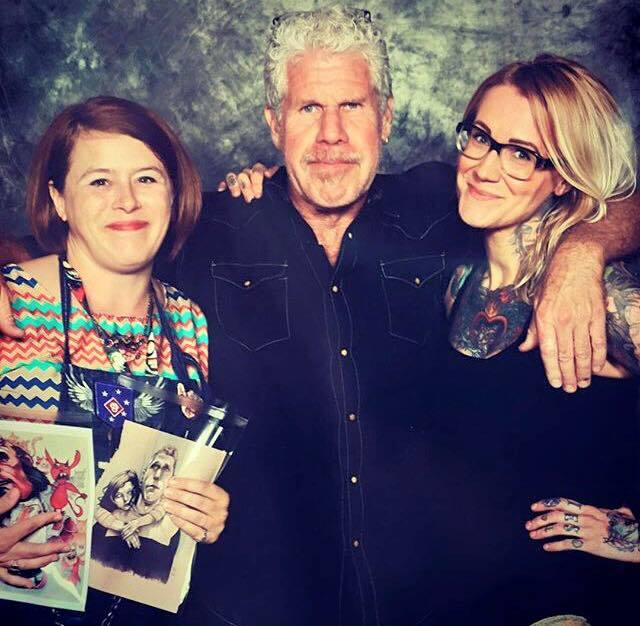 You have also given me an idea: my middle two sons love to go to Comic Con so maybe next time they go they can take their sketchbooks with them and draw some of the people they observe. Great post. An inspiring post! 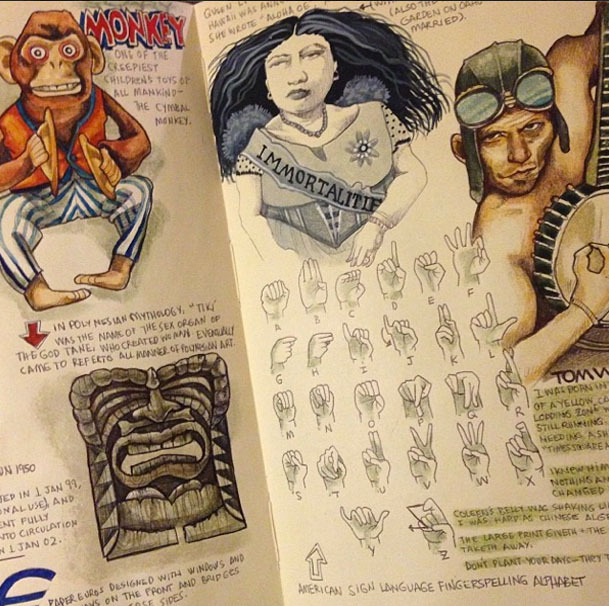 I’m going to draw something in my sketchbook today and make it a habit! 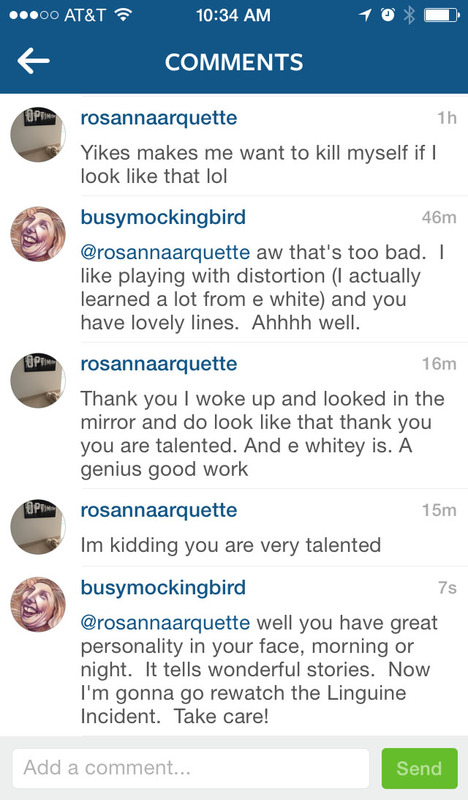 I thought that was a lovely response from Rosanna Arquette. Your art creates an emotional response. Success. 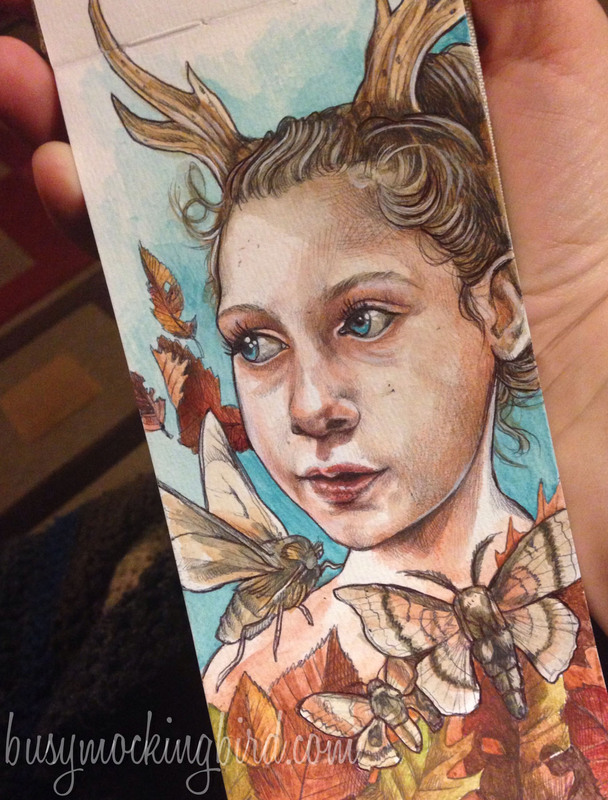 Now, if I could just be as brave as you at letting others see my art. Love reading your posts…wonderful art!! 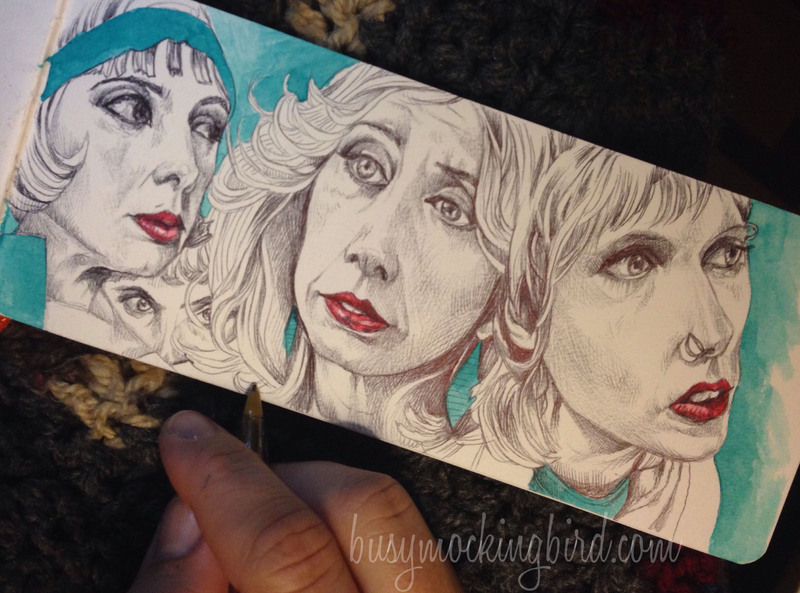 Wish I could have visited you at the Con 🙂 Still thinking about what I want to have for my drawing 🙂 my husband is a bit like Rosanna Arquette, very self conscious about how she’s portrayed.. Me on the other hand…I love seeing what people do 🙂 So I’m thinking maybe me and my dogs…but kinda wanted to do my husband and myself…for the 10 years we’ve been together…thoughts?? The pieces were beautiful. 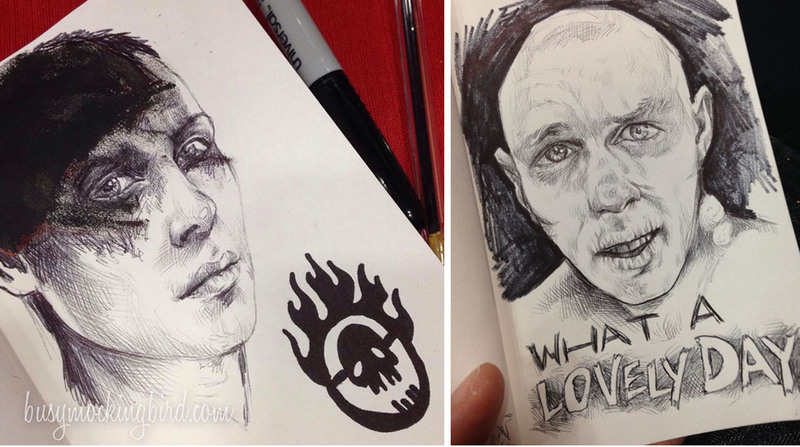 I’m not particularly good at it, but I do enjoy a good brush srtoke every now and then, but absolutely hate it when someone accidentally finds my sketchbooks because it contains the most horrible versions of the stuff I’ve drawn. But you’re right, they were necessary, nothing to be ashamed of. 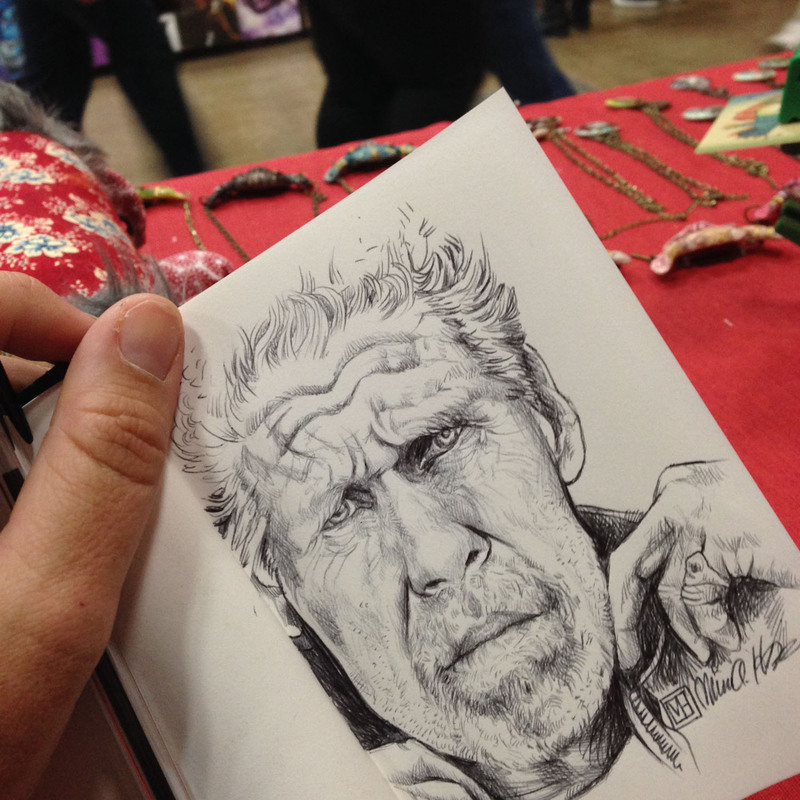 I just love seeing your black and white drawing of Ron Perlman with his asymmetrical eyes and right below it his photo with the very same wonky eyes. 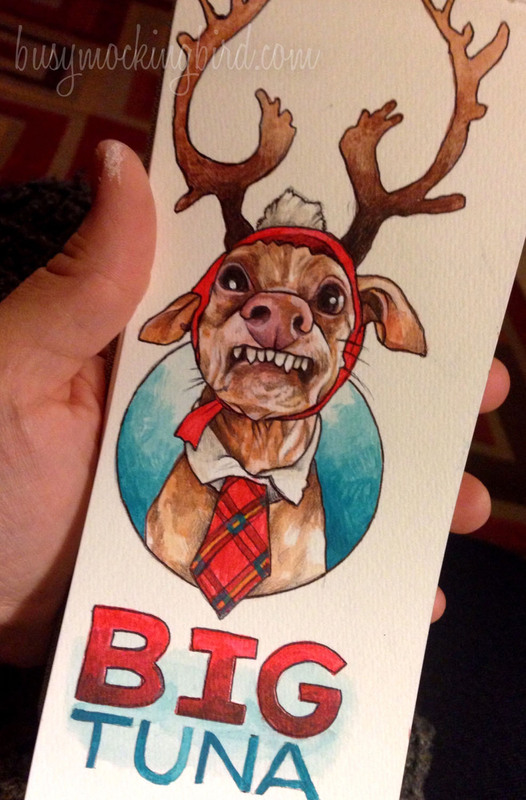 You totally nailed his unique qualities. 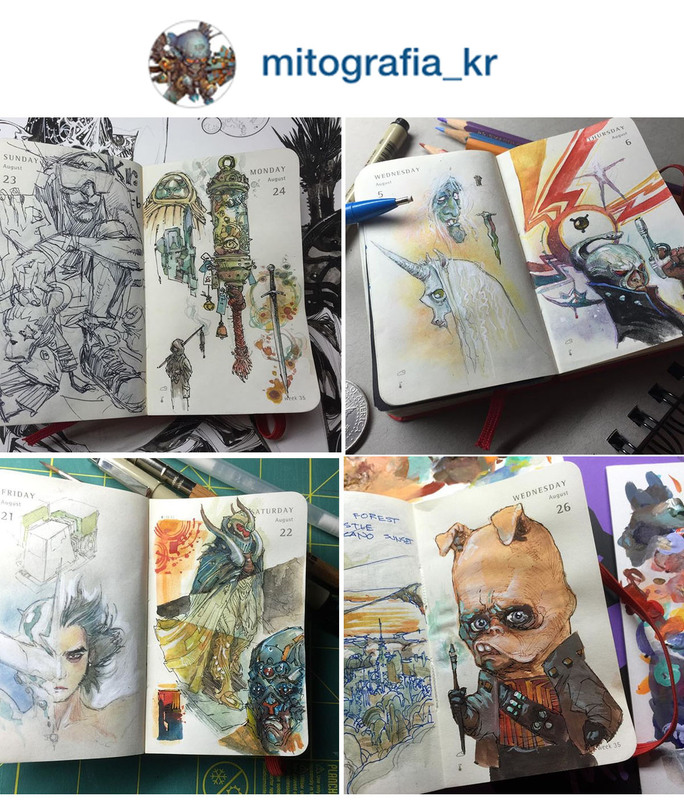 Love reading your blog and seeing your drawings. What a very insightful and inspirational post! I’ve been trying to get back on track with making consistent sketches myself. I’ve never been much of a doodler, but I think it’s good exercise to stretch the brain; especially to help me be more free about drawing. Comic Con sounded fun. I can’t wait to finally go to the San Diego one someday. You are such an inspiration. I admire your work so much…so unique exotic and lavish! Ah, great blog! This is what I am trying to teach myself: it’s all about not being afraid to mess up! When painted more often, I would find myself being afraid to put the first brushstroke to the canvas! How silly! You can paint over it! Duh! —now after my creative side being dormant so long, I find myself doing the same thing! I don’t like anyone to see what I am doing until it’s finished! It actually makes me anxious, and sometimes (unreasonably) mad! I was so bad, that a student of “Commercial Art” (this term is long outdated), I did not do ONE (that I remember) piece if art work IN class! All done at home in the dorm …I goofed off in class, or doodled, the truth is, I really wasn’t that good, just OK. But that really doesn’t matter! I loved it, it was part of me. I learn new things (still) everyday, and I learn from, and inspired by you! (Fun, and nice to be able to learn from your kids! )-Your blogs help me reinforce what I am trying to learn! Thanks!